The spring and summer months offer patio owners a chance to showcase the pride and joy of their home. However, before homeowners unveil their patios and start using them daily, they should consider resurfacing them in time for the high-usage months. The contractors at Childers Concrete in High Point, NC, explain why concrete patios should be resurfaced before the summer. Although concrete is fairly durable, it still wears down over time. This often results in unsightly cracks, boils, and tears on the surface. Resurfacing your concrete patio is the perfect way to cover all of the cracks and craters that have developed there, and there’s no better time to do it than early spring. The process shouldn't take longer than a week or two, and your patio will look brand new for the entire outdoor season. In addition to covering imperfections, resurfacing your concrete patio also gives you an opportunity to redesign the entire aesthetic. When resurfacing, homeowners can stamp their concrete patios with a wide variety of different designs. In addition, resurfacing is the perfect time to stain or polish concrete to enrich and strengthen the color. Those tired of old, cracking concrete patios might be considering a full replacement. 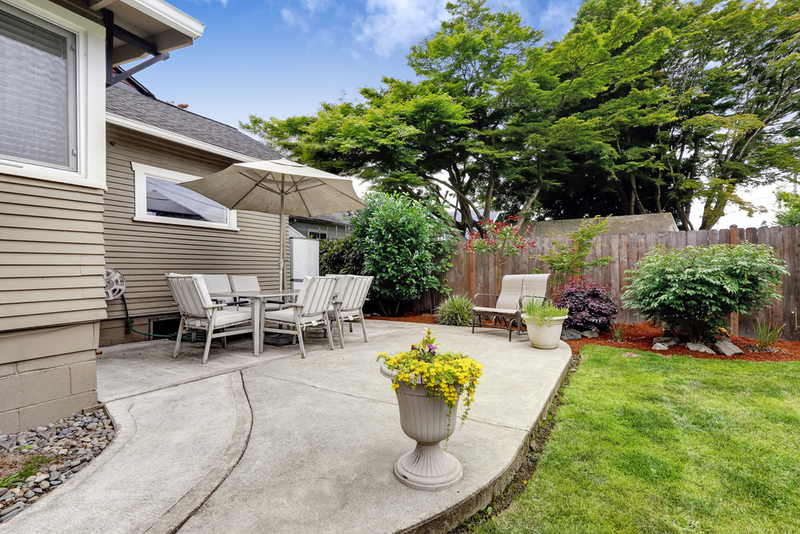 However, resurfacing your patio offers almost all of the same advantages—including a new look and complete redesign—without the hefty price tag or drawn-out construction time. While resurfacing your concrete patio might seem like a large project, having it done as soon as possible ensures it’s ready for summer entertainment. Childers Concrete has been one of the Triad Area’s most respected concrete resurfacing companies since 1946. With the contractor’s large staff of highly trained professionals and deep well of ready-mix concrete varieties, they can capably handle just about any resurfacing project. Visit their website to learn more about their work, or call them directly at (336) 841-3111 to resurface your concrete patio.